Tickets £12, Concession £10, Under 16 free with an adult. Save money by booking online. 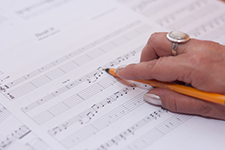 Hampstead Chamber Choir has been an established part of north London’s musical life for more than thirty years. We are a friendly group of some thirty singers who enjoy a wide range of repertoire from Renaissance to the present day, and pursue a high standard of performance under the direction of our conductor Dominic Brennan. 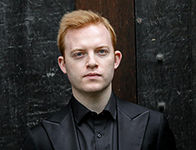 Dominic Brennan was appointed Musical Director of Hampstead Chamber Choir in September 2014. He had sung bass in the choir for several years before that and stood in for our previous MD Iestyn Evans from time to time. Dominic graduated with an MA in Music from Durham University in 2010, having previously completed his BA (Hons) in the same subject. We are always interested in meeting new singers. If you would like to join us contact the Membership Secretary, who will be able to tell you whether there are vacancies in your voice part. You will be welcome to sing with us for a few weeks before deciding; membership is confirmed by an audition with the Musical Director.